along with the higher ball flight, that will deliver more distance and extra stopping power as shots hit the green. This unique top rail design combines with COR-Eye Technology to increase face flexing and ball speed, while launching the ball higher. The cavity badge helps with the solid feel, while the concealed CTP weight allows you to customize swing weight. 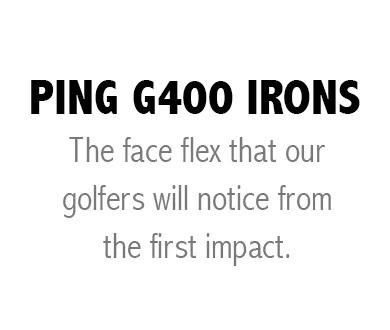 Another reason you’ll love these PING Irons is the proprietary shafts. 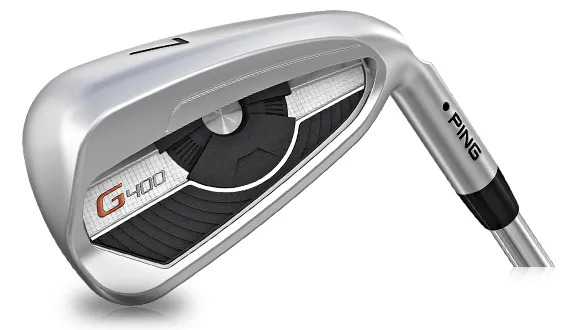 This is shaft technology evolving to help golfers improve accuracy along with consistency. The AWT 2.0 shaft has Ascending Weight Technology. Lighter long-Iron shafts help with accuracy and distance and accuracy, while heavier short Iron shafts will improve your trajectory control and feel. The Alta CB shaft incorporates AWT technology, but includes counter-balancing which will improve club head speed and make it easier to square the head at impact.